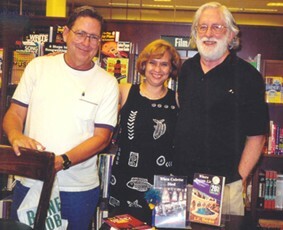 In addition to making solo appearances at mystery conferences and bookstores, Carl also facilitates the monthly Ransom Notes Book Club at the Barnes & Noble - HarMar Mall. 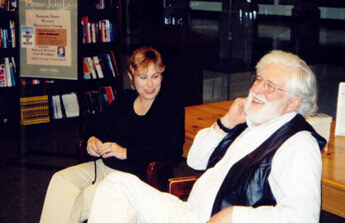 Carl with author Libby Hellmann at the mystery reading group. where Carl leads a mystery reading & discussion group. Permission is hereby granted for reproduction of any material contained in this web site for purposes of publicity and promotion related to the sale of our books and/or appearances by Carl Brookins.